For my foray into the medium of charcoal I wanted to try as many varieties as possible (generally how I treat every artistic venture I endeavor on) but had a limited budget. Fortunately, they sell “raw” charcoal at department stores these days, in the particular case under the Daler Rowney brand at Walmart. But how does this willow charcoal compare to some of the other charcoal products that I’ve used? Let’s take a look. Inside the box, there are 3 bags, each containing sticks of similar size (the bags being for small, medium, and large) that are approximately six inches in length. Now, I haven’t used any other brand of willow charcoal specifically, so my comparisons here will be to the similar vine charcoal and to compressed charcoal. In that regard, it is more scratchy and harder than vine charcoal, putting down a less consistent black that isn’t quite silky smooth and which smudges to be a more pale gray. The benefit of this is that it erases fairly easily, either with a cloth or an actual eraser. Beyond that, there isn’t much to mention about the sticks as there are many natural inconsistencies with products like this that take plant material and bake it. The sticks themselves are quite fragile, but that just requires some getting used to and many artists pre-break theirs before starting on a project (what’s left can effectively be turned into a shading dust). So, despite being from a big-box store, this product is entirely serviceable for an inexpensive price (not that charcoal is particularly expensive in the first place). It’s easily accessible and gets the job done, even making a nice addition to the drawing kit as a lighter, more easily workable material for sketches or laying out a work. It isn’t my preferred type of charcoal, but for a beginner (and perhaps even an expert), it’ll be entirely serviceable. All right, on to the art-making things. 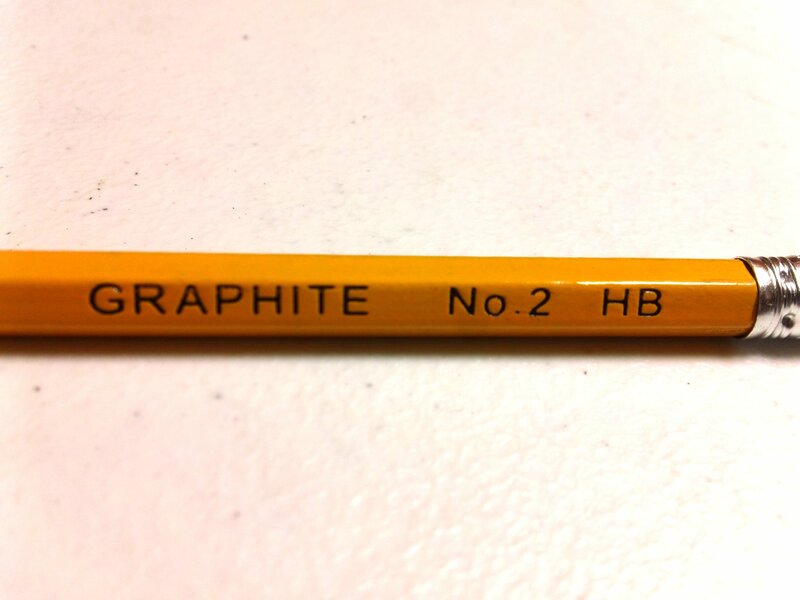 Let’s start with pencils, specifically HB or No.2 pencils. The ones I’m reviewing today are from dollar general and are 10 cents apiece. 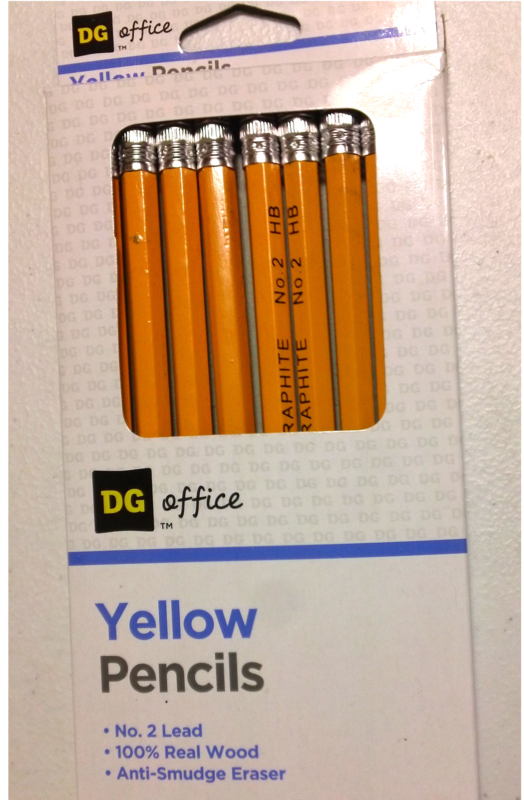 So they’re the cheap, starting pencil. 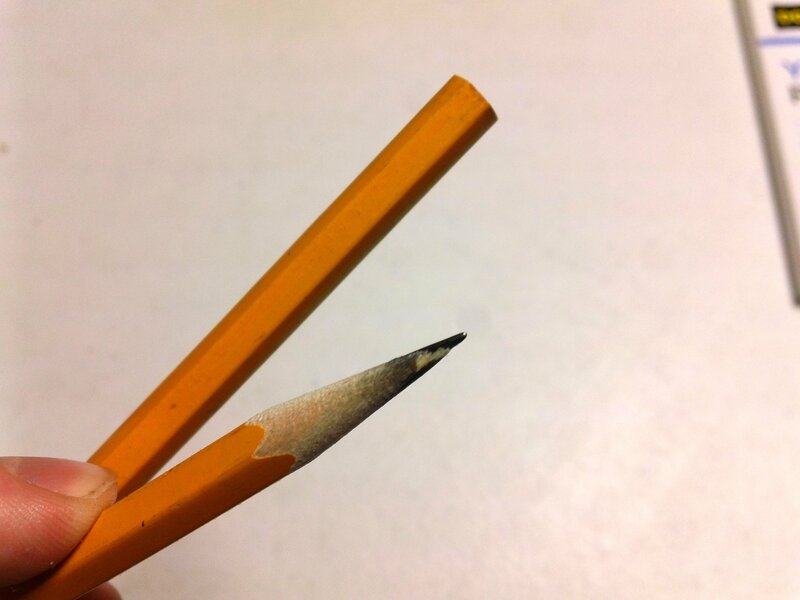 The pencils are small and light, roughly 6 and 3/4 inches to start, with about a half inch eraser. The wood is cheap, it’s splintery and rough. The paint is applied poorly, with parts flaking off and wood showing through, but it does its job and the letters are easy enough to read. The eraser is all right, it erases, but not all the way. Usable for sketches and writing. The eraser is hard and sometimes smears the graphite instead of erasing. But that is all roughly cosmetic. One can get other erasers and the paint does its job. It’s really about the graphite. And that’s hard to screw up. HB’s are a fairly hard pencil, really medium, leaning to the soft end. They’re easy to draw with and give a large amount of control. The lead is not brittle, and stays in its wooden case. The pencil is suitable for sketches and of course writing like its main use in schools. The wood being cheap makes it difficult to sharpen, making it lean more to one side or the other, the lead is also slightly off center. It’s cheap, but usable. This pencil is a nice cheap way to sketch. And is useful in creating a draft for a sketch to be inked later. It being cheap it is available but it is also cheap, not the best pencil available. It does its job but it’s nothing spectacular. After paper the new thing that one would most likely move on to is card stock, in this case Imagine Plus 110-pound 8.5″x11″ card stock. This stuff is a little more “advanced” and one could actually create “finished” projects on it. “Finished” being a subjective term. 110-pound card stock is obviously much thicker and heavier then paper. It takes pencil and ink well; heavy inking and even light painting also work well. The stock does buckle under water quite easily, though, so over-inking and water-based paints aren’t recommended. And painting on anything lighter than Water-color type paper could lead to buckling. The stock itself is smooth, with enough friction to not go sliding around. Pencil is taken and erased well. Ink is quickly absorbed. The grain is noticeable at times but rarely affects the work that is on it. Heavy ink shows through, but the likelihood of someone seeing the back is negligible. 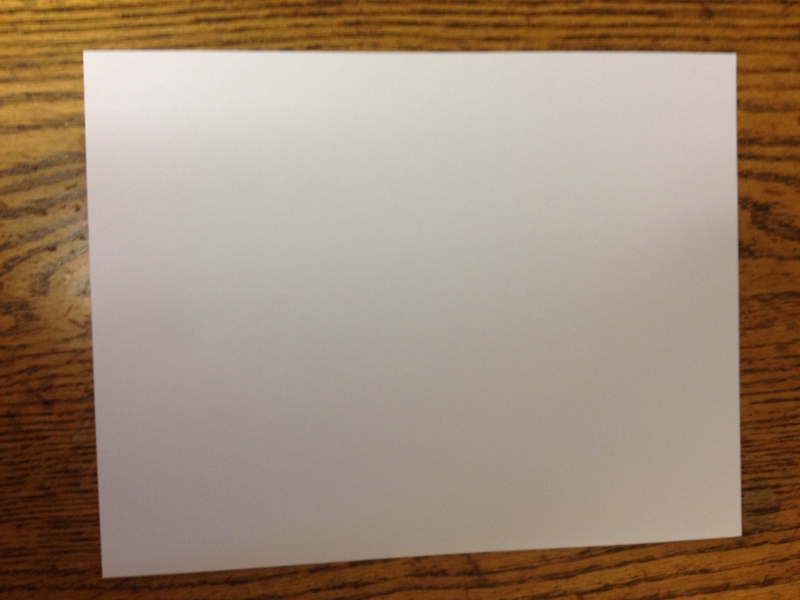 The size of the paper being 8.5″x11″ makes it a rarely seen art surface. The size, like that of copy paper, is simply unconventional. It is a good material for people just “graduating” into “finished” artwork. While the stock is nice and useful, most will quickly pass it up for superior art surfaces.